Search Engine Optimization is a technique used in web publishing to increase webpage visibility and traffic for a higher ranking in search engines and more readers. Writing an article using Search Engine Optimization requires good writing skills to make the article interesting and easy to read. Strategic placement of key phrases and keywords in the text, and the inclusion of hyperlinks will boost the readership of your page. 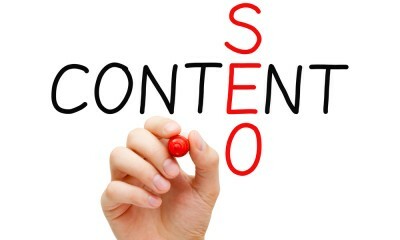 Read the following steps to learn how to write an article using Search Engine Optimization. A well-written article with good content will attract more traffic, meaning many readers visit your site. This makes your article more attractive to link marketers (people that link their sites to yours) and increases the likelihood of advertisers wanting to use your page for their advertisements. Key phrases and keywords are registered by “spiders,” which are scripts that search engines send out to every page on the Internet. Spiders “crawl” across web pages and websites and analyze them for content and quality of content. One way they do this is by registering the keywords and key phrases to determine the subject of a page; but they also detect how often each key words or phrases are used, whether a page is grammatically correct, and what types of inbound and outbound hyperlinks there are. Hyperlinks are links to other pages that are somehow relevant to your topic. Break it up into short paragraphs with sub headers. Include the most important keywords and key phrases in titles and sub headers. Hyperlinks are links to another webpage that is relevant to your topic. You can highlight a word or phrase and add the web address to which you want to link. Make sure every link is a quality website that offers sound information and easy navigation. Even if you have written a great article, you must let the world know about it. Simply, share a link to your new article on Facebook,Twitter or Tumblr and encourage friends to re-share it.